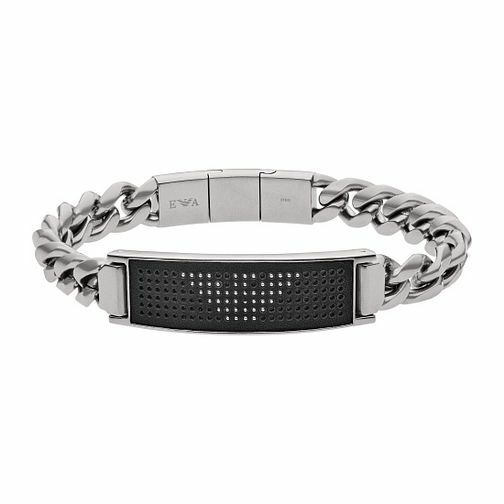 Add some sophisticated style to your daily outfits with this Emporio Armani Eagle Stud Stainless Steel bracelet. This charming bracelet features a black centre with a studded eagle design. The bracelet is finished with a buckle fastening. Wear alone for a simple everyday look or wear alongside your daily wristwatch. Team sophistication with high fashion and the result is Emporio Armani's beautiful jewellery collection.